“sean su” writes “2008 will be another victory for the Pan-Greens and another loss for the Pan-Reds and Pan-Blues” “another victory” for the Pan Greens? “another loss for the Pan Blues? 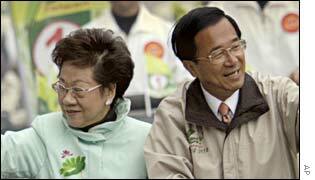 If “sean su” considers the string of debacles the Pan Greens have suffered at the polls “victories,” then by all means, 2008 will indeed be “another victory” for the Pan Greens. Chao, hasn’t been proven guilty, and there is no evidence that anyone else in his family, extended or immediate would know about his trading habits.But Chao’s habits are not especially surprising in a Pan Blue dominated government, considering that there would be a list spanning several pages of the proven corruption that has happened from all echilons of the government, from Pan Blues, to Pan Reds, to Pan Greens. Although many upon many a Pan Blue politician has been caught red handed, it looks poor on the part of the Pan Greens since they espouse to be tough on corruption when the Pan Blues generally seem to accept it.What does this mean? First off, immunity needs to be removed from politicians immediately. Soong was caught and allowed to get away with stealing tax payer money to buy homes in Shanghai and elsewhere.A huge list of corruption later and we get this. The point is, its okay if Elmer Its not surprising, and will continue to happen unless major legal reforms take place and are enforced in Taiwan, after all, loyalty is first and foremost to the law, blind and second to partisanship. Dear Panda Bear, Thanks. Your analysis is absolutely correct. 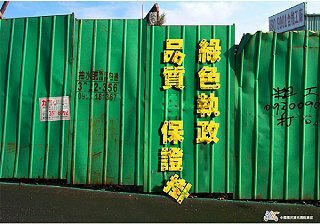 It’s unfortunate, but voters on Taiwan are much too lenient toward political wrongdoers, particularly “ben tu” (so-called) Pan Green political wrongdoers. They refuse to judge them on the basis of their immoral and illegal conduct, but insist on making all kinds of ridiculous excuses for them based on their ethnicity. 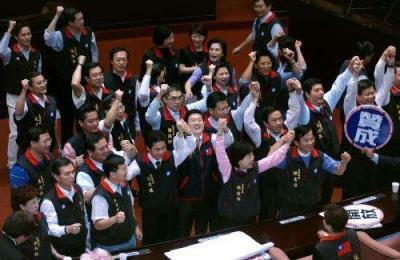 The recent “ben tu” backlash originating from Kaohsiung and Tainan is a perfect example of this phenomenon. 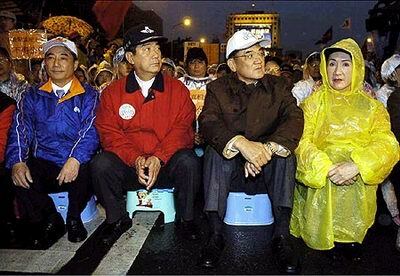 The Taiwan independence hardliners don’t even bother to hide their double standards. In fact, they stress the fact that their criterion is the offender’s ethnicity rather than his guilt. They stress that what they’re doing is mandatory because “we must protect one of our own,” even though he is robbing everyone, Pan Blue and Pan Green alike, blind. The stubborn behavior of Taiwan independence True Believers such as “sean su,” who insists on making lame excuses for obvious, shameless corruption, as long as it is committed by “one of us,” is a perfect example of this. Contrast this with the mainland. The mainland desperately needs reform too. The difference is that at on the mainland nobody would even think of making excuses for a politician based on his ethnicity. On the mainland, if you get caught, it’s “game over.” Possibly a bullet in the back of the head.